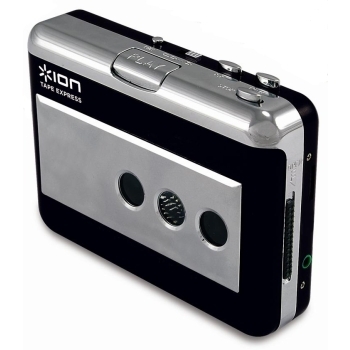 Tape Express, Portable MP3 Player from Ion Audio. 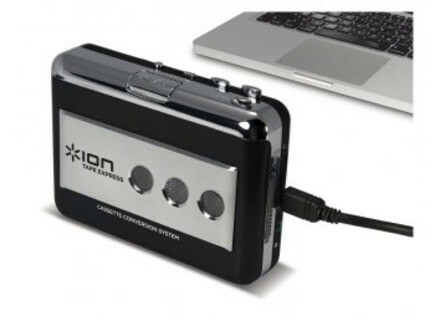 mrjason's review"If you have cassettes this is a must have"
The ION Audio Tape Express is a Cassette to USB interface. This is one of those devices that will not be useful to everyone but for someone like me who was around when tapes where big, this is a must have. I have hundreds of tapes and I have always looked for an easy way to get them into MP3 format. At first I use to just run the audio out through an interface and record into Edison. But now that this has been created it is very easy to get all of my great tapes from the 80’s and 90’s into digital form to play back in my car or on my iPod. The Tape Express gives you a few different options to get your tapes out in MP3 format, you can choose “normal” “noise reduction” or “chrome for metal tapes”. So once you figure out which one you want it is pretty easy to get tapes into MP3 format. This product even takes batteries so you do not have to have it plugged into a wall jack. This unit is very easy to use, after you have it all set up and ready to convert your music you can also play your music out loud because of the audio output options. You can listen back on your stereo, speaker system or headphones directly from the Audio Tape Express. This is a must have for anyone with a lot of tapes that still wants to enjoy them and get them in the digital format. After I convert majority of my tapes (so far) I am going to store the tapes in my attic just so I don’t have to have them sitting around anymore because they take up a lot of space and all I really wanted was the music anyways. It is great to be able to have of my favorite cassettes that I great up listening too on my ipod now!